Neil’s mom, Gail, arrived on Christmas Eve. 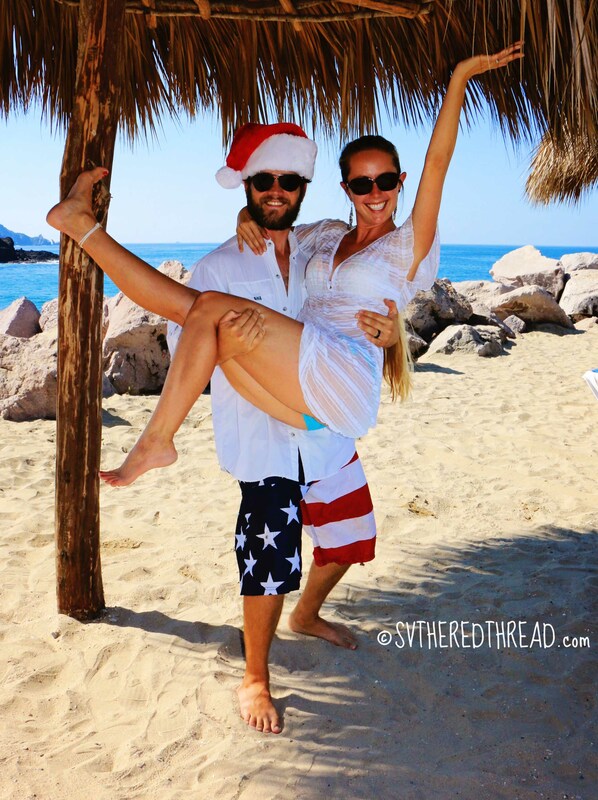 She was greeted by a typical December day in Mexico: warm breezes, blue skies, and sunshine. In the 10 days that she would spend with us, we would enjoy some of our loveliest cruising experiences to date. 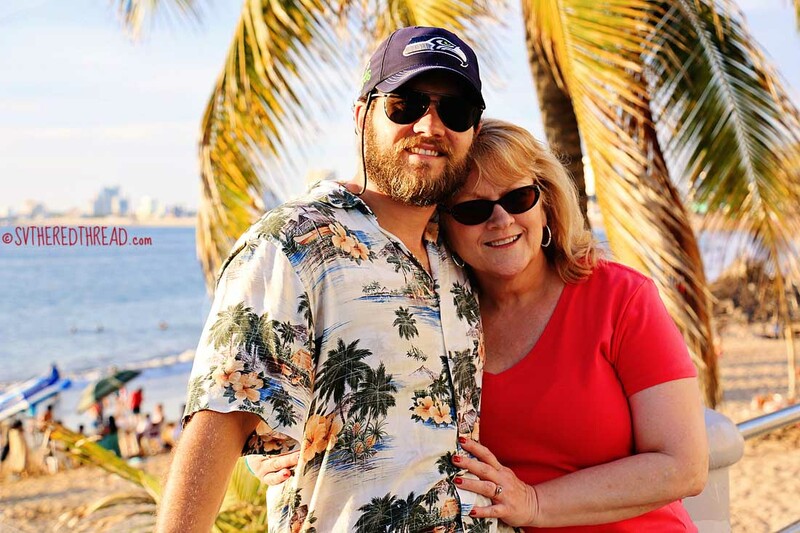 Our first few days were spent in Mazatlán. Anyone who has sailed aboard The Red Thread, whether for Thursday night races, sunset excursions, or weekend getaways knows that eating well is par for the course. We love to cook almost as much as we love to eat! We had saved a bit of the fresh marlin I had been given in Cabo San Lucas, wanting to share it with Gail. I pan-fried it in mixture of chili and olive oils, a combination that gave a mild heat to the delicious white steaks without overpowering them. Sautéed vegetables and quinoa completed the meal. We savored our dinner in the cockpit beneath the glow of the holiday lights we’d strung below the bimini the day prior. For the first time in my life, Christmas was spent lounging next to a pool. Traditional homemade baked goodies were swapped for more appropriate fare: chips, salsa, and guacamole. 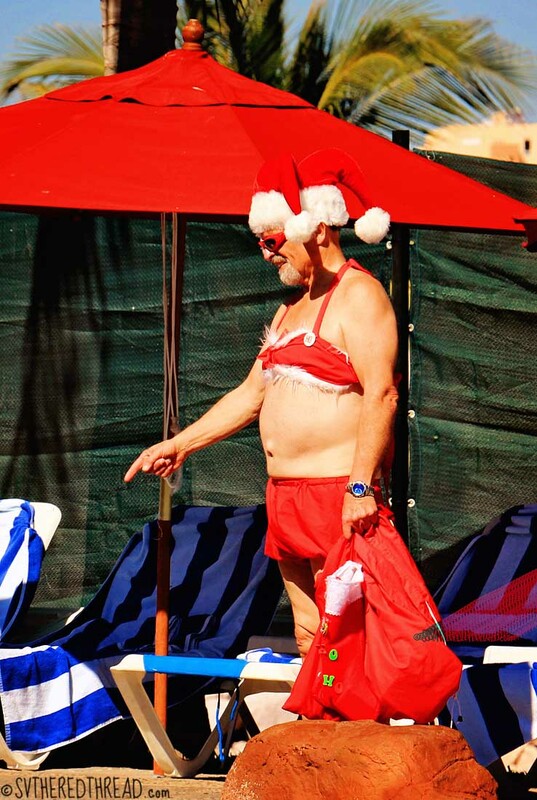 We learned that in contrast with the temperate Santa Claus, the tropical breed of Santa Claus dons a traditional ho-ho-ho hat but with two points, along with a fur-trimmed bikini. He bears gifts, but instead of toys, he appears to deliver adult beverages. Neil and I didn’t exchange gifts, as we had done in years past. 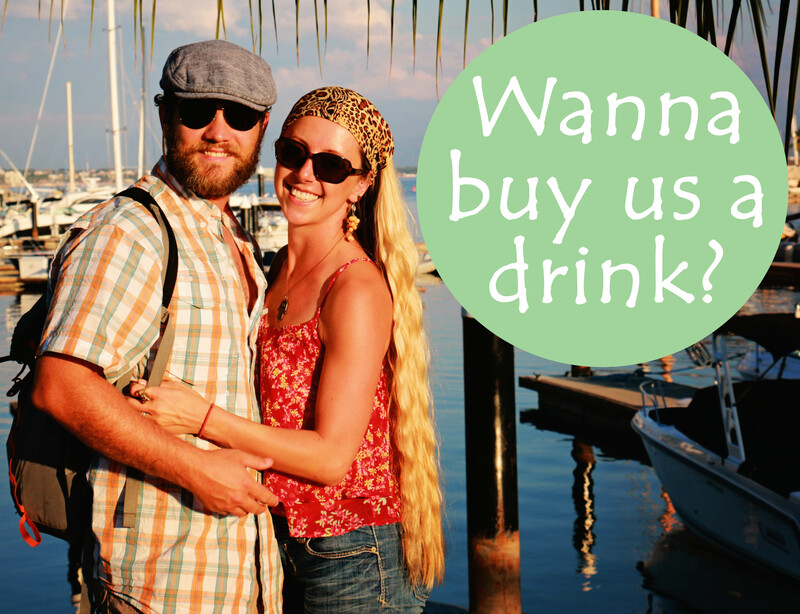 Our gift to each other was time—time away from careers and typical societal expectations; time together. And repaired chartplotters, but that is a story for another day. 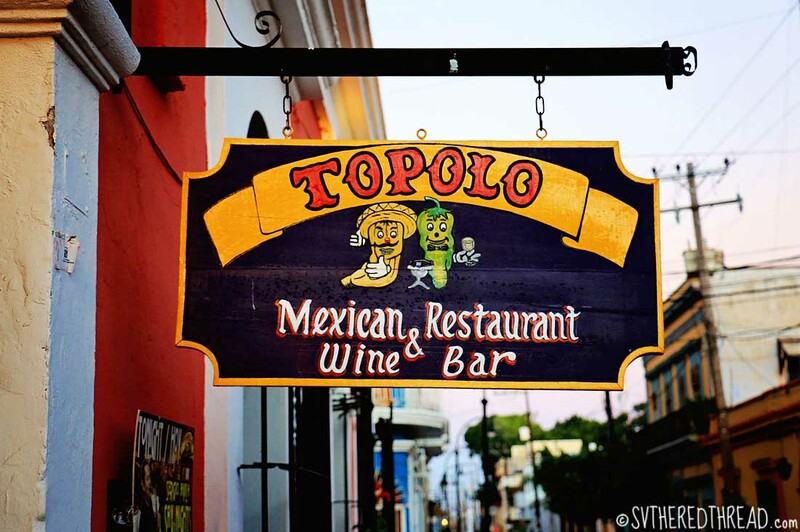 Gail treated us to Christmas dinner at Topolo’s, a charming and colorful restaurant that was highly recommended by Gary, a cruising expat who had called Mazatlán his home for nearly a decade. 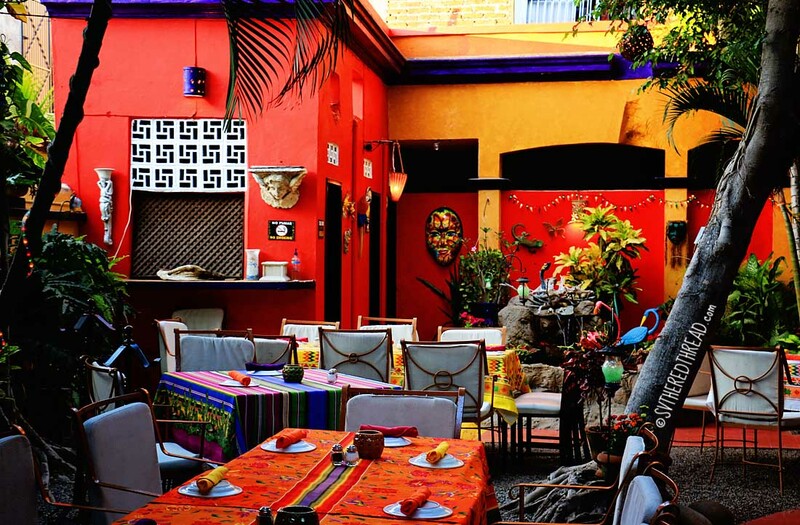 The restaurant was colorful and the ambiance vibrant, rivaled only by the chef’s incredible cooking! Our salsa was prepared tableside beneath our hungry gaze, and the scent of warm tomatoes, chilis, onions, and spices hung in the air. 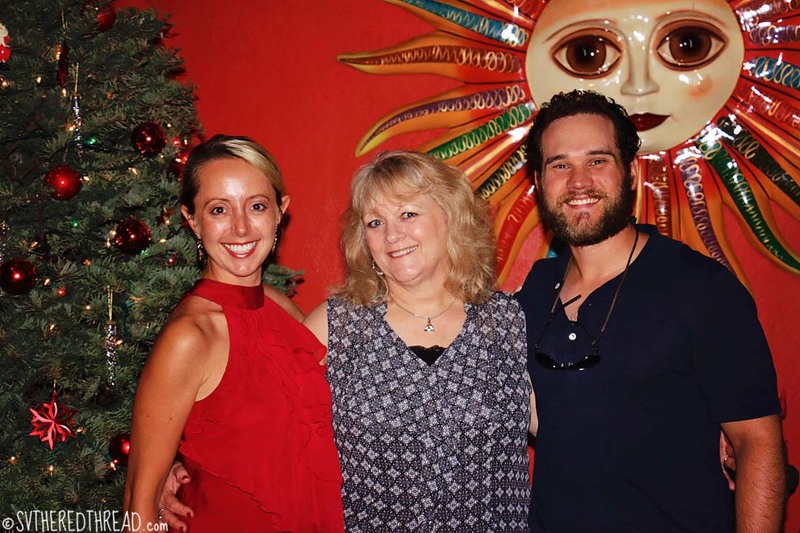 We ordered a trio of margaritas to celebrate our south-of-the-border Christmas. Neil and I opted for mango and watermelon flavors, respectively. 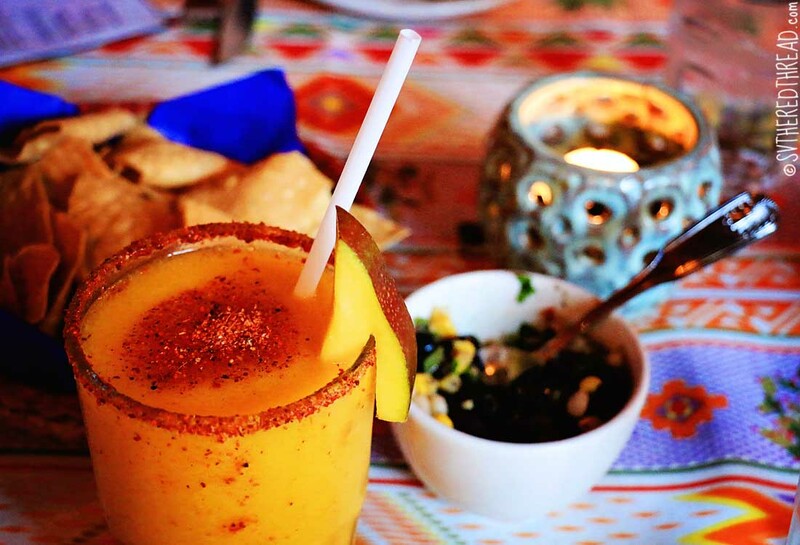 The rims were salted with Tajin, a Mexican seasoning left on our taste buds dancing with tangy lime spiciness. Next, coconut and tequila shrimp, pork shank, and traditional Mexican dishes filled our table. My mouth waters remembering just how delicious that meal was! With empty plates and full bellies, we wandered the square in front of the Basílica de la Inmaculada Concepcion before visiting the cathedral. The trees of the park were strewn with holiday lights, and the Cathedral glowed softly above the surrounding buildings. The craftsmanship of the building’s stonework was beautiful. In contrasts to the warm golds that adorn the interiors many cathedrals, the colors of Basílica de la Inmaculada Concepcion were gray. The atmosphere was one of tranquil beauty. 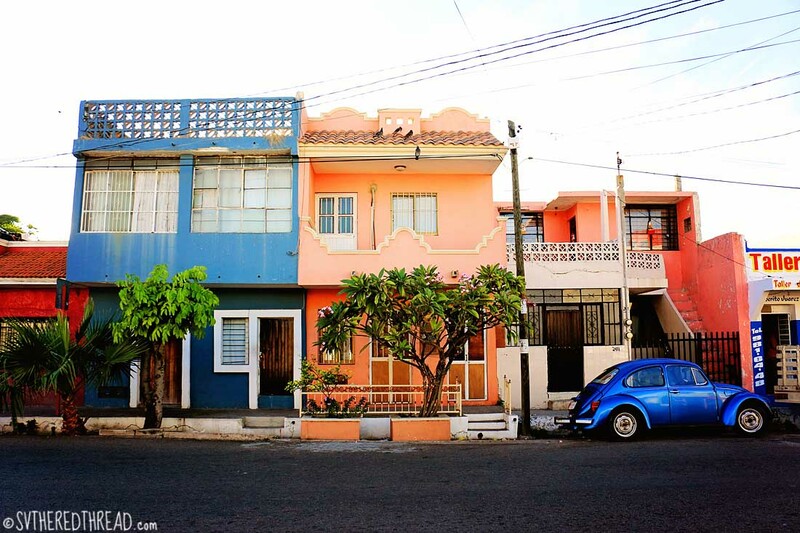 For seven pesos, a city bus bounced us from the marina district to Old Mazatlán, where the city buzzed with life. 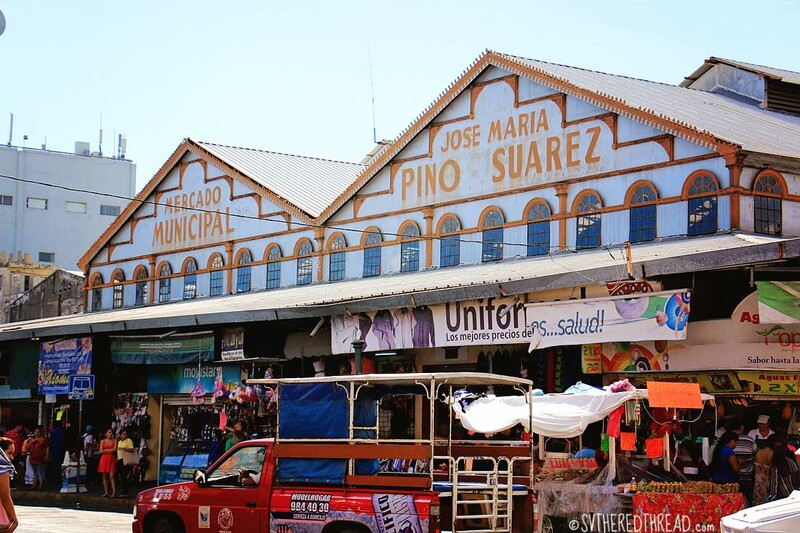 The Municipal Mercado is a menagerie of booths overflowing with trinkets, clothing, and foods that is situated at the heart of the city, near the Basílica de la Inmaculada Concepcion. 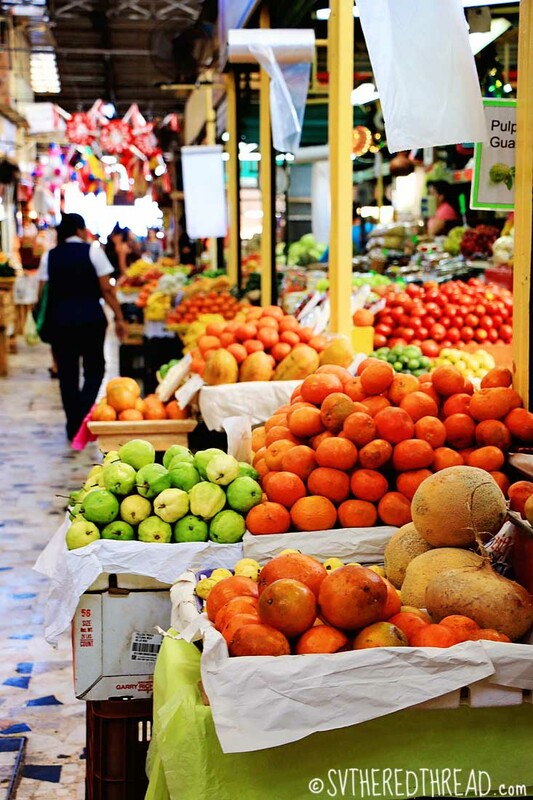 The market felt largely geared toward tourists, with the exception of the stands stocked with ripe fruits and vegetables and the butcher stands. 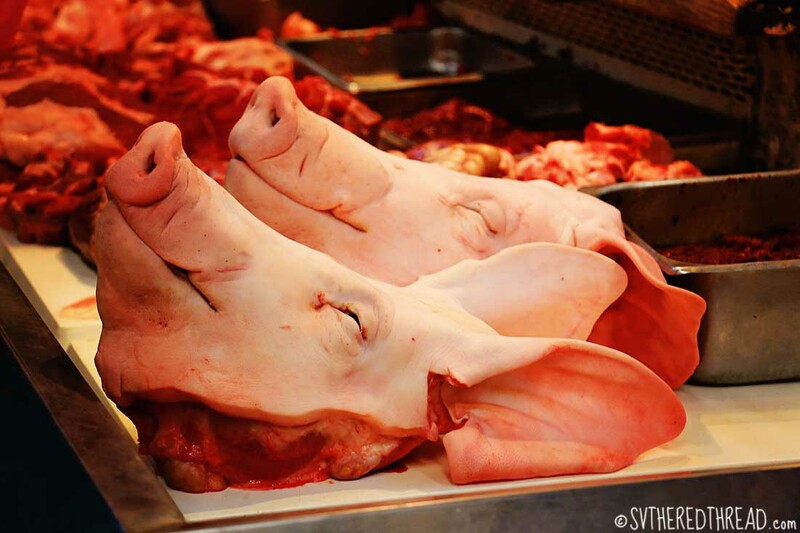 Surely there are few tourists shopping for pig heads for dinner! Like many coastal cities, tourist resorts stand like palaces just a stone’s throw from impoverished streets. 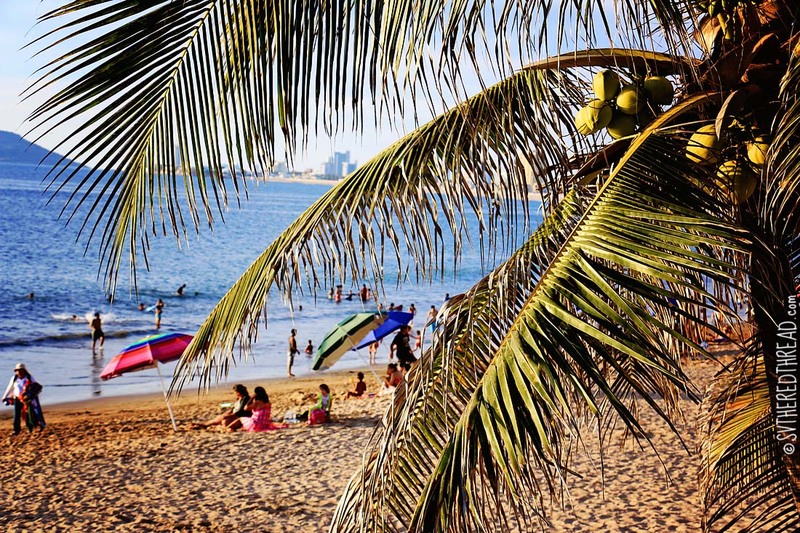 One could vacation in Mazatlán without ever getting to know the city at all. 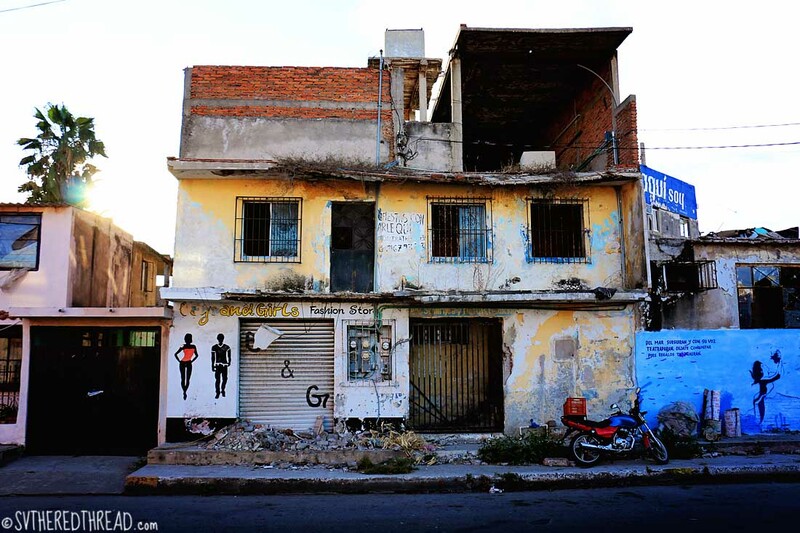 Mazatlán is an amalgamation of old and new, of decrepit and colorful, of lifeless and vibrant. Piles of rubble are heaped next to buildings waiting to be rebuilt and flashy resorts pump dance music across the water. 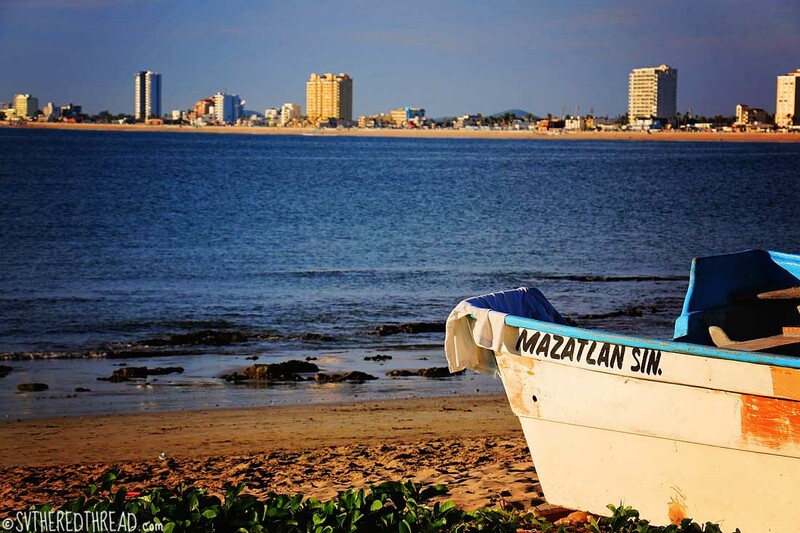 A manifestation of the divergence between spotless and spoiled was the comparison between the marina district, and the waterways that run parallel to Old Mazatlán. We had planned to spend our final night in Mazatlán at anchor there; however, after receiving reports that the anchorage reeked of sewage and the bay was teeming with floating trash, we elected to stay put. 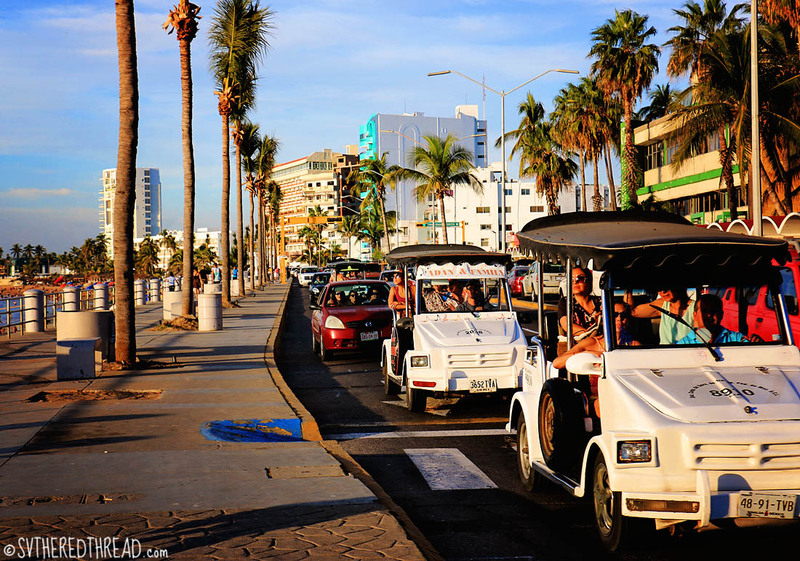 Miles of beach stretch along the malecon. Palapas speckle the sand and beached pangas dry in the sun during the heat of the day. Traditional music poured into the streets. Our tired feet strolled along the malecon taking it all in. We walked past children playing in the sand and were passed by cars hurrying along the road that runs alongside the beach. 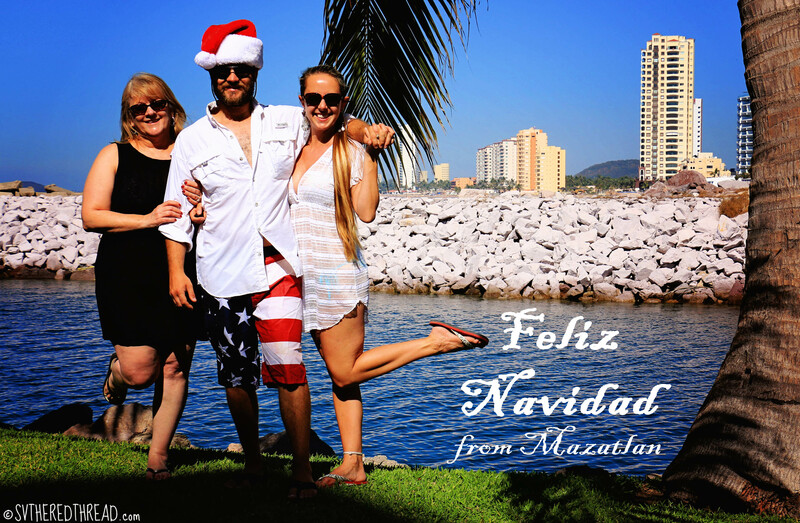 In Mazatlán, we experienced friendly smiles and unsolicited acts of kindness, hallmarks of the Mexican people. For instance, a local woman offered us a ride from one hardware store to another after overhearing our lack of success at locating a part we needed for our boat. Her English was about as good as our Spanish (i.e., not at all), but we figured one another out and had good laughs at our foibles. Another of the bright moments occurred early in evening on Christmas Eve when we heard an unexpected tap on our hull. We popped our heads out of the companionway to greet our visitor and were surprised to see the familiar face of Richard from s/v Sarita whom we had met some 16 months and 2,500 hundred miles earlier on the west coast of Vancouver Island during our honeymoon! It’s a very big, small world and a wonderful community in which we live! 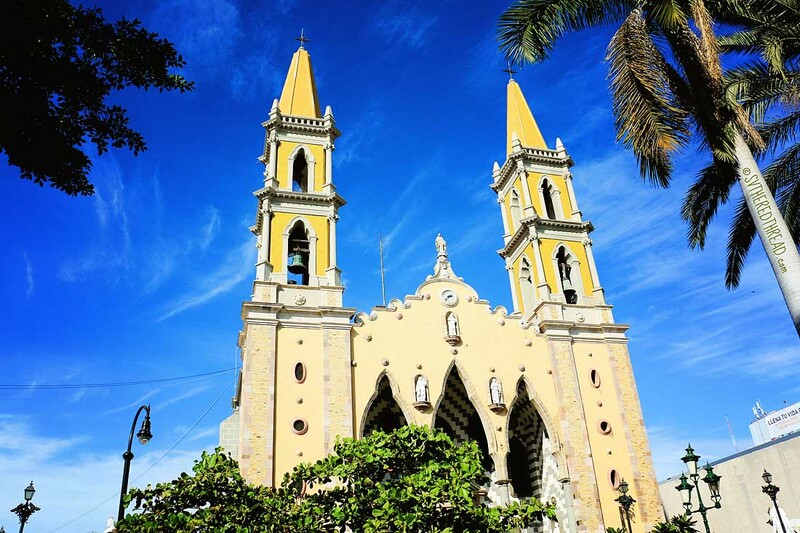 This entry was posted in By Jessie, Friends and loved ones, Galley, Holidays, Mexico, South Pacific Stitch and tagged Basílica de la Inmaculada Concepcion, Mazatlán, Municipal Mercado. Bookmark the permalink. 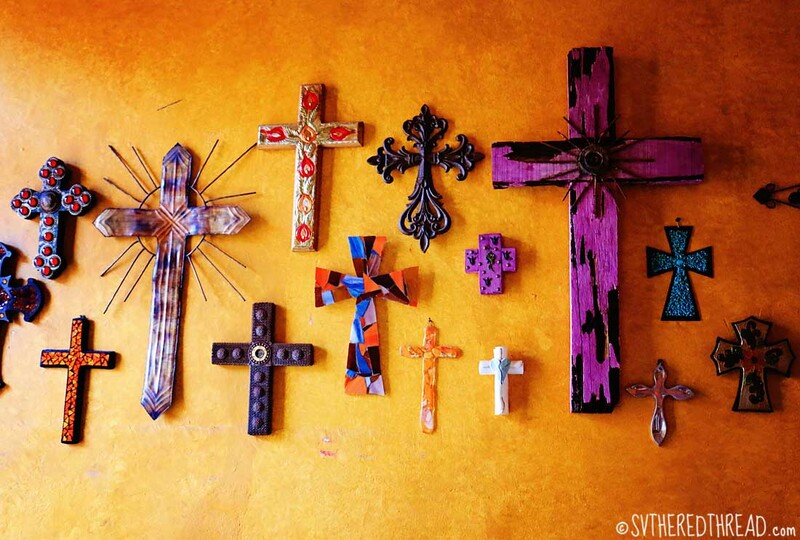 So glad you guys were able to hook up with Sarita again (we miss them in these parts!) . . . and from what I read on their blog, again!